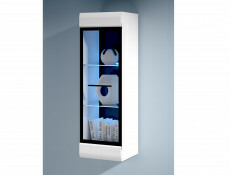 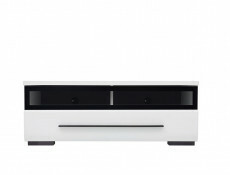 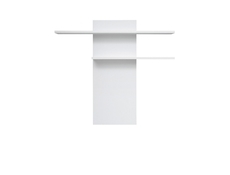 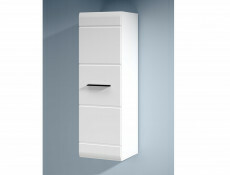 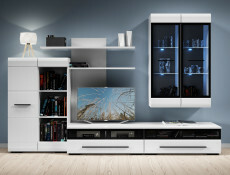 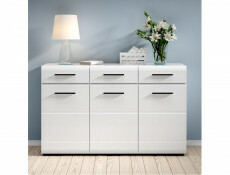 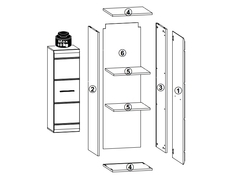 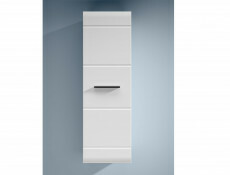 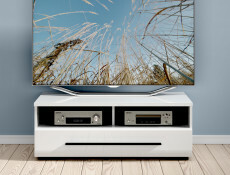 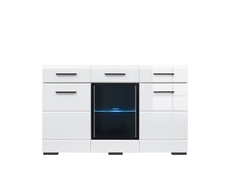 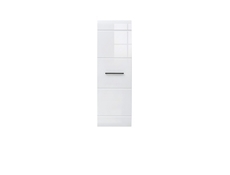 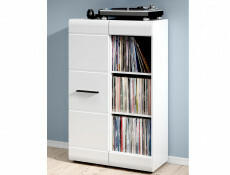 Tall wall mounted cabinet unit with door in White Gloss or Oak from FEVER furniture range. 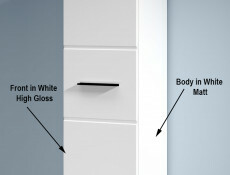 Grooves on outer side of the door match the positions of the 2 equally spaced shelving inserts inside. 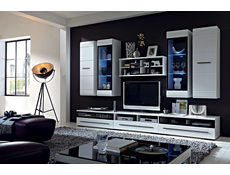 Striking black handles and black interior back walls on all display furniture items available in this modern collection, create a unique and elegant atmosphere to any living area.